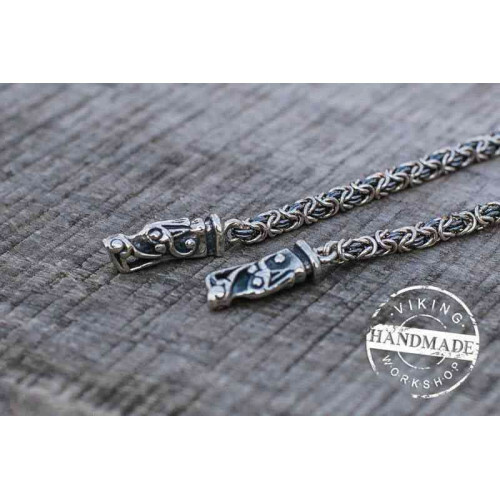 Set of Sterling Silver Viking Chain with Wolf Tips and Viking Mjolnir Pendant with Mammen Ornament is one of the most popular and affordable jewelry items ever created by the craftsmen of our shop. 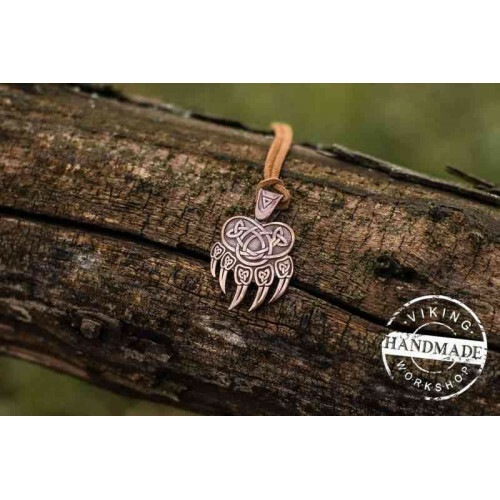 The product is made according to traditional drawings of the pendant used in the Norse. Massive silver chain is created with the same weave that was popular among the Vikings. Both ends of the chains are decorated with clips for the pendant, made in the form of the wolves. It is this animal that symbolizes courage, prowess, intelligence and ferocity of the Norse warriors. Here you can also pick a pendant with an identical chain but a different option for the tip. 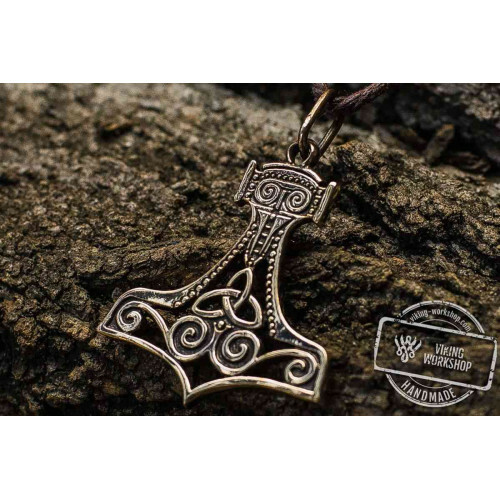 Ancient warriors believed that Mjölnir could provide them with the greatest strength and protection, not only in facing the vices and dangers, but even in battle with the enemy. 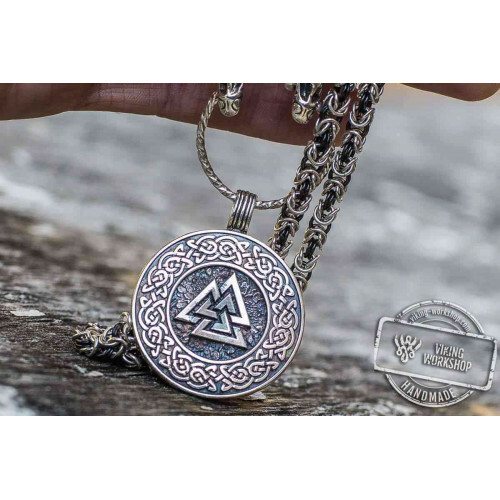 The Set of Sterling Silver Viking Chain with Wolf Tips and Viking Mjolnir Pendant with Mammen Ornament viking-workshop amulet is recommended to those who plan to radically change their life in the near future: moving to another country, a change in lifestyle, place of work or residence. 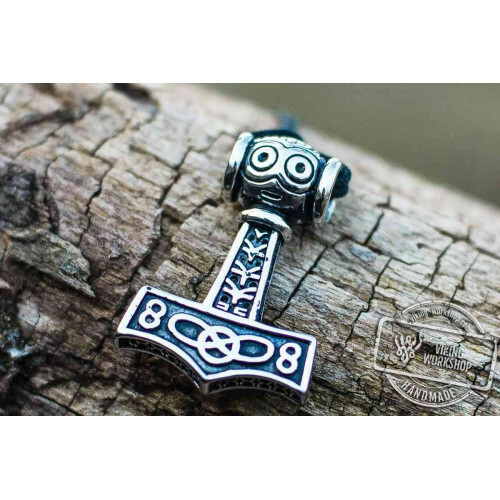 The hammer of Thor’s company, which is able to overcome impassable flames and destroy the most persistent of obstacles will provide you with the power of the spirit and firm adherence to the desired goal. Our catalog offers an option of a differently braided chain or you can just pick up a few of them on the website. Whatever your choice is, the order will be carefully packaged by our experts and sent to any place in the world. 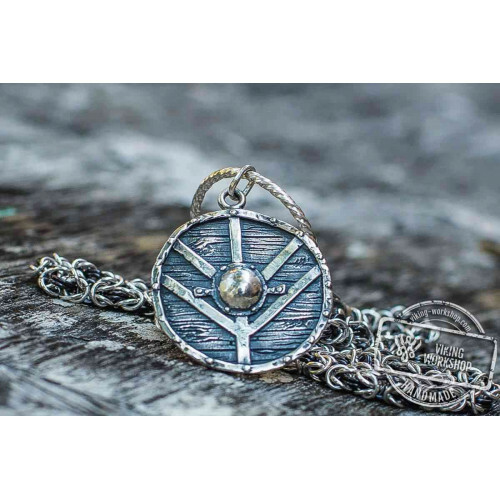 Anyone who decides to order a Set of Sterling Silver Viking Chain with Wolf Tips and Viking Mjolnir Pendant with Mammen Ornament, will receive the charm itself, as well as branded packaging and a CD with the folk songs of Scandinavia.